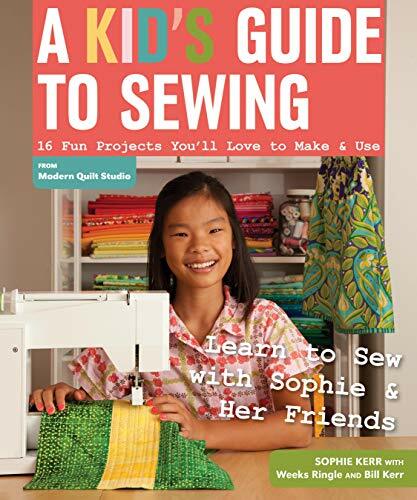 In this book by well-known modern quilters Weeks Ringle and Bill Kerr along with their 11-year-old daughter Sophie Kerr, kids will learn how to navigate a sewing machine, make smart fabric choices, and use basic sewing tools. Sixteen kid-friendly projects run the gamut from clothes to bags to accessories while clear, step-by-step instructions from Weeks and husband/design partner Bill Kerr walk kids through the creation of each. Throughout the book, tips from Sophie offer design and construction advice from a kid's perspective. The book "grows" with the sewist, offering more complex projects as the reader's skills develop.